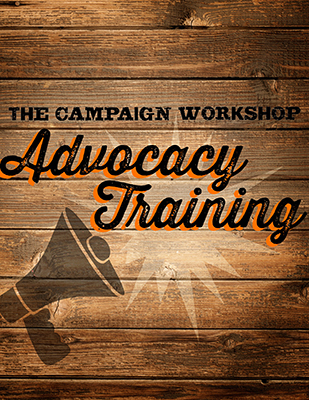 Up your advocacy game—sign up for our training! At The Campaign Workshop, we believe clients should expect more from their political consulting firm. We take pride in our hands-on approach to strategy, digital advertising, and political direct mail. Whether you’re a nonprofit looking to increase awareness on an issue, a progressive candidate running for office, or an advocacy group trying to improve your digital engagement, The Campaign Workshop will tailor a winning plan to your budget and timeline. Let's talk. We're at the forefront of cutting-edge digital strategy and combine attention-grabbing creative and innovative targeting to find the right audience. Our team knows political consulting inside and out. Our staff has worked in targeted communications for political and advocacy campaigns for decades and we're ready to hit the ground running. We produce political direct mail that stands out and gets us noticed. State of the art targeting and inventive creativity ensures that your message won’t be ignored. When it comes to campaign and advocacy training, there's no one that does it better. Our team will make sure you're prepared to achieve success.